Joseph Hermann is Professor of Music and Director of Bands at Tennessee Technological University in Cookeville, Tennessee, where he leads an active and diverse program consisting of the University Marching Band, Symphony Band, Wind Ensemble, Concert Band, Pep Band, and the Golden Eagle Brass. 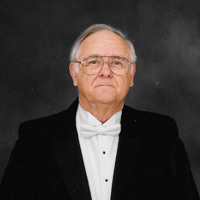 Before his appointment at Tennessee Tech in 1989, Hermann was the Associate Director of Bands and the Director of the Pride of Arizona Marching Band at the University of Arizona, an Assistant Director of Bands at Indiana University and Director of Bands at East Tennessee State University where he also served as the Associate Conductor of the Johnson City (TN) Symphony Orchestra. Secondary school teaching includes directing the Dowling High School Band, West Des Moines, Iowa, and supervising the Des Moines Catholic Instrumental Music Program. Under his leadership, the school music program of thirteen private schools grew to unprecedented enrollment. In addition, he served briefly as the Educational Director for Bands of America and McCormick’s Enterprises, a music corporation and educational enterprise, in Chicago, Illinois. Hermann is sought after as a conductor, adjudicator, and speaker and has presented clinics, workshops, and has conducted throughout the United States, Canada, Europe, and Japan. His work as an author and columnist has been published in books, professional journals, and professional magazines. Hermann’s symphonic bands have been featured ensembles at state, regional and national conventions. His interpretations have received acclaim and have been broadcast internationally. Recordings of his ensembles have been released as reference for music educators nationwide through music publishers and on the Mark Custom label. He is a proponent of new music for winds, has premiered numerous works for the band and remains an active participant in commissioning projects. 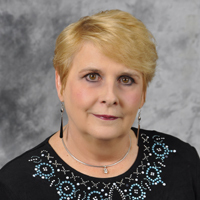 Hermann is a member of CBDNA, NAfME, NBA, the Tennessee Bandmasters Association, has served as the editor for the New Music Reviews for the Tennessee Musician, and is a past board member of the Tennessee Music Educators Association. In 1996, Hermann was elected to the prestigious American Bandmasters Association and served as a member of its Board of Directors. In 2009-10, Hermann served as the President of the ABA and, after his presidency, as the Chair of its Board of Directors. He is the Associate Chair of the American School Band Directors Association and currently serves as the Vice Chair for the American Bandmasters Association Foundation. He is a member of Phi Beta Mu, a past President of the PAC-10 Band Directors Association, a past Province Governor for Phi Mu Alpha Sinfonia, and holds honorary memberships in Kappa Kappa Psi and Tau Beta Sigma. Dr. Sydney J. McKay was the Director of Bands and now Director Emeritus at the University of Memphis, retiring after a forty-four year career in teaching at both the university and secondary school levels. Coming to the University of Memphis (formerly Memphis State University) in 1975, he conducted the Symphonic Wind Ensemble and administered a large collegiate program consisting of the Mighty Sound of the South marching band and two other concert ensembles. He also served as advisor to music majors in their quest to become band directors. 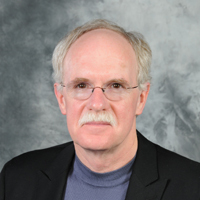 Dr. McKay has served as clinician and adjudicator throughout the United States as well as Mexico, Europe and Japan. He has always been active in community musical organizations, conducting community orchestras, musical theater, and community bands. In 1987 he became the conductor of the River City Community Band which performed in the Memphis area and abroad, until his retirement in 2013. Dr. McKay has twice been awarded the Citation of Excellence by the National Band Association and was also chosen the Young Band Director of the Year by the Delta Chapter of Phi Beta Mu. In 2001 Dr. McKay was the very first recipient of the Mentor of the Year Award given by the National Band Association. Many of his former students serve as middle school, high school and university band directors across the nation, as well as in other music professions. In a word, “Doc” is a gentle man, one who cares for those even though they may not share the same, and who always gives every resource in his means to each and every one that may inquire. Dr. McKay continues to give his gift of music through continued efforts with the University of Memphis, the Memphis Wind Symphony (formerly River City Concert Band) and numerous outreaches at his church, Second Baptist Church in Memphis. Dr. Sidney McKay changed the musical landscape in West Tennessee and the Mid South. His legacy is those that had their lives touched by him: the lessons learned from him and the “direction” that he shown us all. In the history of Tennessee Band Directors, our state has been blessed with many individuals who have distinguished themselves as teachers, mentors, organizers, and leaders. Rarely, however, has there been a couple, a true and unique partnership, so devoted to the cause of music education that the two are seen as one. Herein we have the careers, no career, of Stephen and Marion Coleman. A unique husband and wife team whose legacy is so intertwined that anyone who knows them cannot say one name without saying the other name in the same breath. Of course they were not always one in the same. Stephen Clark Coleman was born on January 10th, 1950 in the town of Cookeville, Tennessee. He attended public school in Dickson and Waverly and received his first instrumental music instruction on the saxophone from Robert Johnson, graduating from Waverly Central High School in 1968. Marion Dianne Lindsay was born on May 6th, 1952 in LaFollette, TN. Here, she attended Lafollette High School , focusing on the vocal aspects of music and graduating in 1970. At this point, the two paths start merging into one as the couple met while attending Tennessee Technological University. In 1971, they were married in LaFollette, TN and the team that was soon to be known as “The Colemans” was born. After graduating from TTU, they both attended graduate school at the University of Tennessee at Knoxville, supporting each other not only in their studies but doing whatever it took to be successful. To this end, Marion taught first grade and Stephen had a brief stint as a car repo man. Finally, all of the ups and downs connected with graduate school were at an end and they began their first teaching assignment together at Wartburg Central High School, taking charge of both the instrumental and vocal departments of that high school. During their three year stay at Wartburg, they took the Wartburg Central High School Band to the very first Class A Marching Championship, now known as Division I. In 1979 Stephen and Marion left Wartburg and began the next chapter of their partnership at Waverly Central High School. During the next nine years, Stephen and Marion built the Waverly High School Band program to such a high degree of musicianship that the band was invited to perform at the TMEA Conference in 1985 and the MENC Southern Division Conference in 1986. By this time, twelve years into their career, Stephen and Marion had firmly developed the central guiding tenet of their teaching philosophy. A philosophy that has been extremely influential to all those who have had the privilege to have taught with or been instructed by them. That tenet is, “it’s all about the kids.” No award, trophy, citation, accolade, or even concert is sought after until it is proven beyond a doubt that the musical, academic and social well being of their band members is first assured. That guiding principal is impressed upon all who have entered their band rooms, whether they have been private teachers, staff members, or student teachers. With this philosophy firmly in place, Stephen and Marion began the next chapter of their partnership in 1988 when they took direction of the band program at Tullahoma. For the next twenty two years, they built the band program at Tullahoma to such a high degree of musicianship that the name Tullahoma Bands and “Quality” are synonymous. Under their direction, the Tullahoma Bands were invited to perform at the TMEA Conference twice, first in 1989 and again in 2005. Tullahoma bands have performed at the request of the U.S. Department of the Interior in a ceremony in Hawaii commemorating the 50th Anniversary of the Attack on Pearl Harbor, received an invitation from the Mexican government to present a concert in Mexico in honor of the 25th Anniversary of the founding of Cancun, at the Fiesta Bowl, Rose Bowl, Chicago St. Patrick’s Day Parade, and with the West Point Band. Several of these performances saw the premiere of multiple commissioned works including “Waverider” for band by Greg Danner and “Cuico” for Band & Percussion, featuring the Caxia Trio, also by Greg Danner. 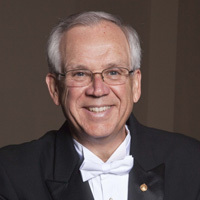 Following their retirement from the Tullahoma City Schools System in 2010, Stephen was offered a job as Director of Bands at Cumberland University. Marion, however, wasn’t quite ready to relinquish her baton just yet and wanted to continue teaching the students of Tullahoma. She decided to return half time to work with the beginning band program. She continued in this role for another few years until she fully retired in the spring of 2013. The Colemans still reside in Tullahoma, where Marion enjoys her retirement with her plethora of animals that includes dogs, cats, frogs, fish, salamanders, newts, and bearded dragons. As busy as she is in retirement, she still loves to lend her musical ear any time one of us gives her a call. While Stephen continues to dedicate much of his time to the Tennessee Arts Academy, he never ceases to amaze his friends with his endless knowledge of jazz musicians and recordings, incredible culinary skills, and plethora of tasting notes as a wine connoisseur. In addition to all of the lives they affected as music educators, their profound sense of responsibility prompted them to serve in varied capacities to their professional and community organizations. A short list of these accomplishments include both of them serving as president of MTSBOA and Phi Beta Mu, Stephen serving as president of TMEA and TBA, and Marion serving as Chair of the Tullahoma Arts Council and Supervisor of Student Teachers for Belmont University. In addition both Stephen and Marion were inducted into the TMEA Hall of Fame in 2009, honored by the Tullahoma City School System as Teachers of the Year, and awarded the NBA Citation of Excellence. While all of these accomplishments are wonderful in and of themselves, the hallmark of their partnership comes back to their philosophy of “it’s all about the kids.” Students of the Tullahoma Band Program continue through life knowing and believing that the most important aspect of their experience with instrumental music education is that they matured as young adults with music as the catalyst for their growth. Stephen and Marion never lost faith in them as young musicians and as young adults. As their colleagues, we frequently heard the phrase, “Mom and Dad Coleman” or “Mom and Pop Coleman.” For many of these students, the awards and the accolades were nice, but what was truly memorable and treasured was the second family and in some instances the only real family that was created by Mom and Dad Coleman. They saw to it that the musical, social, and academic well being of each and every one of their students was nurtured and fulfilled.